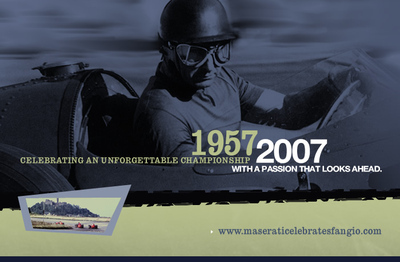 We are very proud to announce the launch of a new Maserati website: www.maseraticelebratesfangio.com! A new, very emotional internet website (see press release in the attachments) to mark the F1 Championship Victory of Maserati and Fangio. The launch date is tomorrow, the 4th of August, the same date that Fangio won at the Nuerburgring in 1957, still regarded as the most impressive drive in F1 history. The site is full with visually stunning and interactive material. Monographs and a rich array of multimedia also feature. Please publish it on your respective Maserati Club website and spread this news to all your members and Trident fans. 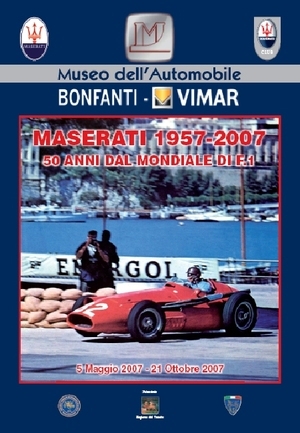 Please read also the dedicated link on www.maseraticlub.com: "J. M. Fangio: memories of world victory in a F1 Maserati". Continue your exclusive voyage through the world of Maserati with a preview of the new Maserati Quattroporte Sport GT S.
The new model, the ultimate sporting expression of Maserati’s flagship model, will be launched in a world premiere at the Frankfurt Motorshow in September. The car boasts a number of characteristic styling cues such as the Trident badge with red highlights that features on the grille, and which was used on Maserati racing cars in the past, dark chrome window frames and exhaust pipes, a wire mesh sports grille as standard, body coloured door handles, front sports seats in leather and Alcantara and an interior finished in carbon fibre. Technically speaking, the Sport GT S stands out for its advanced Brembo braking system that employs exceptional dual-cast discs. This is the product of exclusive technology supplied only to Maserati and houses six-piston callipers in aluminium casing at the front. The passive suspension system further refines the car’s sporting soul. The Quattroporte Sport GT S is fitted with eye-catching dark-chrome 20", seven-spoke alloy wheels. 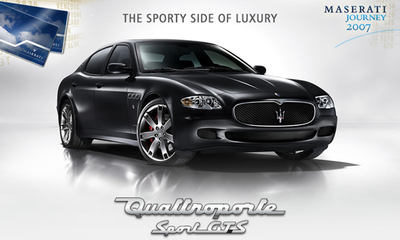 Come and explore the Maserati Quattroporte Sport GT S, online on www.maseratiquattroporte.com, from 11th September 2007.